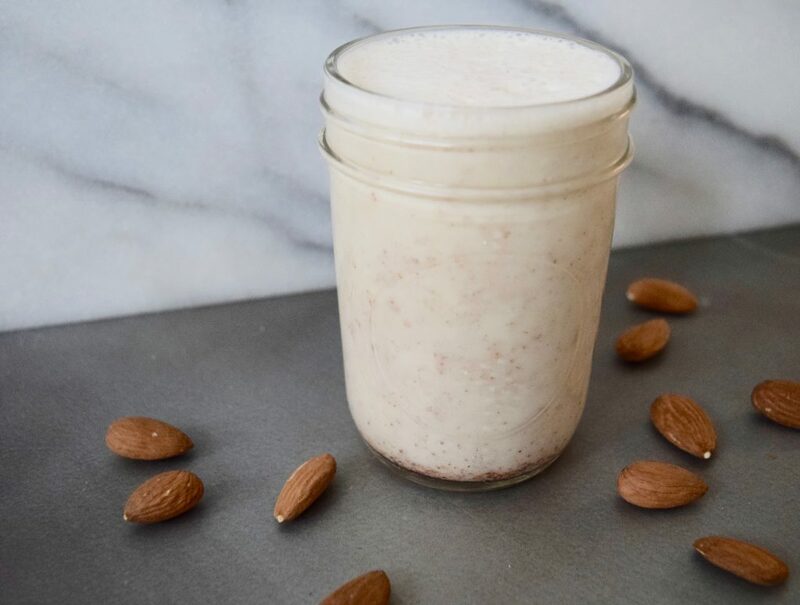 The easiest, fastest, most delicious way to make almond milk. Almond milk and other dairy-free milk alternatives are more popular than ever. Unfortunately, many of them, have additives, sugar, and fillers that make them less desirable…but you can’t beat the convenience. Until recently, if I wanted almond milk, I would soak almonds, put them through a Vitamix, and then squeeze the milk out of the nuts with a nut milk bag…which is a tad labor intensive and time consuming. Enter this, the best almond milk recipe, ever, which uses one key secret ingredient to give you all the almond-y goodness, without the hard work. Not only does it taste rich, creamy, and fresh almond-y, it is so easy, and inexpensive, to make. So, what’s the secret ingredient? Avoid almond butter with additives. Just like almond milk, almond butter can have sneaky additives, like palm oil, sugar, and salt which you want to avoid. 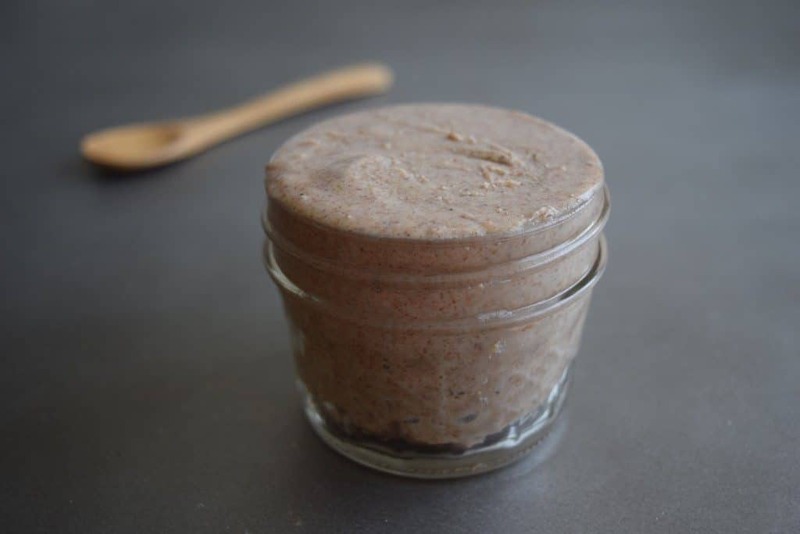 Always read the ingredient list, and ideally, choose an almond butter with just almonds. If you try this recipe, let me know! Leave a comment, rate it (by clicking the stars in the upper right of the recipe card, below), and don’t forget to tag a photo @mariamarlowe or #mariamarlowe on Instagram. I’d love to see what you come up with! Add all ingredients to a blender and blend on high until smooth. There may be a small bit of sediment from the date, which you can strain out, if you wish. Tastes even better cold, so refrigerate for at least an hour. Check the ingredient list of your almond butter. Ideally use raw, or at the minimum, one that only contains almonds (not other oils and sugar).